Graduation Ceremony will begin promptly at 10 AM in sha Allah. Please arrive by 9:55 AM. Click HERE for Graduation Day Outline. Carnival & Bake Sale: Carnival will start at 12:30 in the small gym. 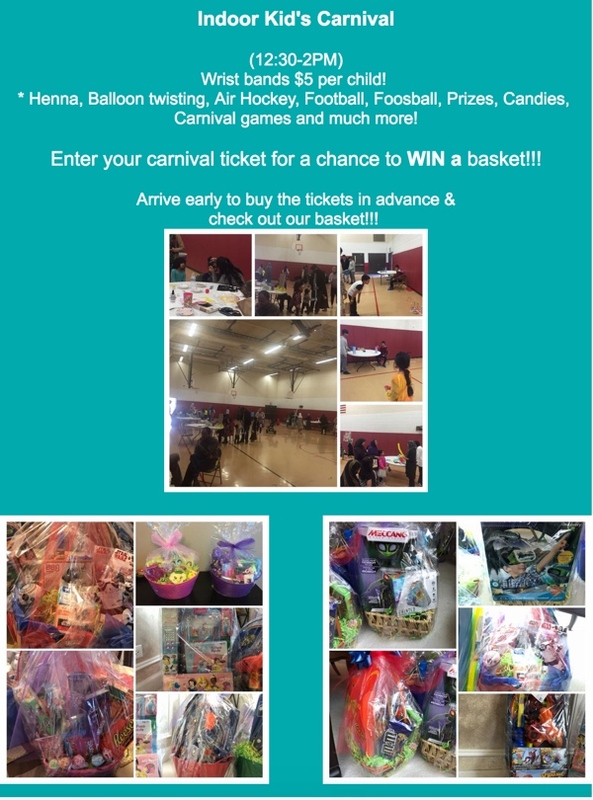 Please bring your kids for fun time and a chance to WIN a basket! There will be food for sale in the cafeteria. Ticket stations will be setup in the hallway and in the cafeteria. 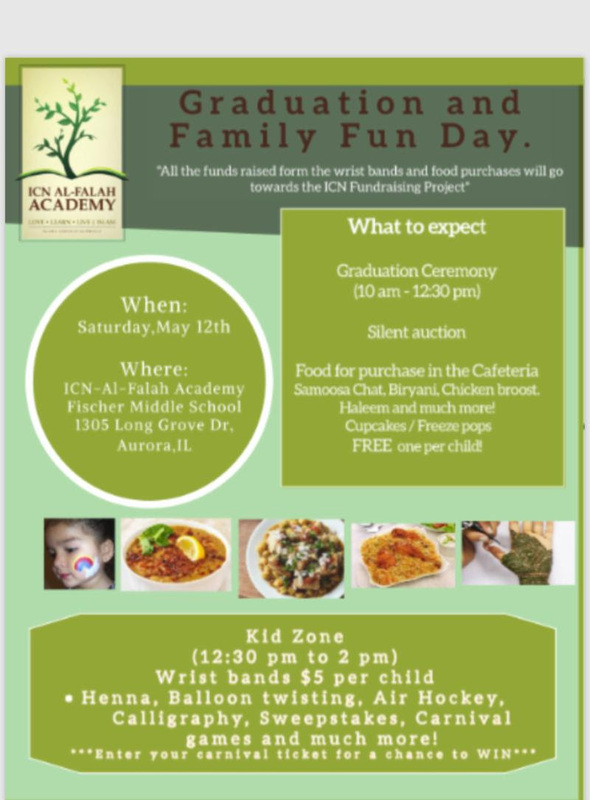 There will also be a SILENT AUCTION of art drawings made by Special Needs Students.